The Music Hall of Williamsburg is a favorite to see some of the best indie rock shows in New York City. On their second appearance of the week, Brooklyn based band Big Thief took the stage for their loyal fans. The venue is well known to New York rock fans. In the past, under a different name, the Music Hall was named Best Rock Club and Best Williamsburg Venue. The entrance is a narrow hall that gives one the impression that it’ll be a tight, crammed spot. However, once inside, the stage is situated in a large room that has a domed roof. There wasn’t a point in the night where it felt too packed to walk around. There were even a few TV sets in the lower bar for patrons to watch the set while away from the main room. The first opener of the night was Really Big Pinecone. Although the venue wasn’t completely filled yet this early on in the night, the listeners who were in attendance gave their full attention to the new band. Their music can be described as a cross between Alt-J and modern opera. The mood was mellow and melancholy. Strong vocals were sprinkled throughout. The band tossed around balloons and got a few laughs from the audience when they compared the amount of balloons to being at a wedding. Following Really Big Pinecone was Palehound, a band that by contrast brings a bit more energy. Many were there to see Big Thief, but the crowd consisted of definite fans of Palehound, mouthing the lyrics to a few of their songs while dancing. Once Palehound finished, the entirety of the main room began to fill up. Despite the amount of people, this crowd knew how to keep space between one another to allow maneuvering around. The intermission music consisted of old jams from the ’70s and ’80s. Big Thief could be seen walking around on the stage as they set up for their performance. When the intermission music was cut, all felt the excitement in the room. The moment many had been waiting for was finally happening. Their music didn’t rock the room like Palehound did. 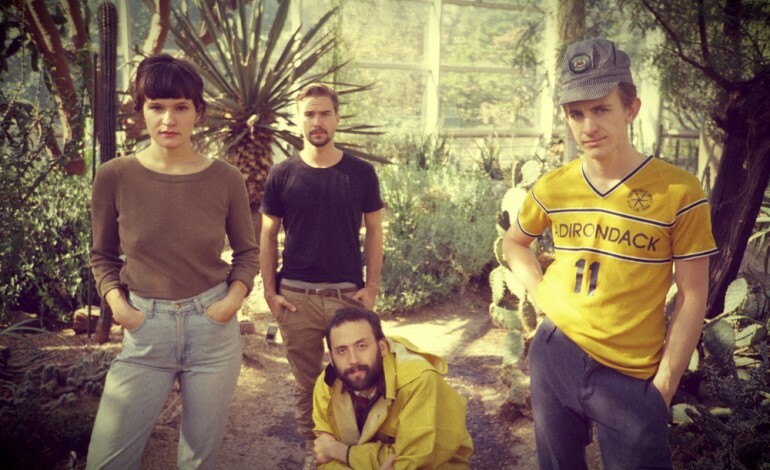 In comparison, Big Thief is more on the slow, soulful side. The crowd didn’t dance, but they grooved along, enjoying the talent of vocals from Adrienne Lenker. They played “Masterpiece,” the eponymous song off their album early on. It’s an emotional song that tells a strong story about love and really takes listeners on a journey. It’s a trance like song that hypnotizes listeners. A few songs after, they played their recent hit, “Mythological Beauty.” The rhythmic guitar strums were pleasing to the ears as the soft drums tap away in the background. Adrienne’s vocals were of course phenomenal. The band stopped for a few minutes here and there to talk to the crowd. During one amusing silence, a fan yelled out the word “Pineapple” to which Adrienne laughed. The sheer randomness brought her and her fan a little bit closer. After that burst of laughter, Big Thief played “Real Love.” The crowed swayed back and forth during the entire song. When their set was over, they thanked the crowd and went backstage. Of course, in standard rock band fashion, they came back out for an encore. Murmurs from the crowd could be heard for their encore song stating it to be a brand new song. Their actual final song of the night was “Mary.” The song just envelopes listeners as each note played seems perfectly put together intricately to create a feeling of serenity. When they finally ended, the crowd cheered as Big Thief left the stage. The band did their home proud and there wasn’t a single person who left not smiling.